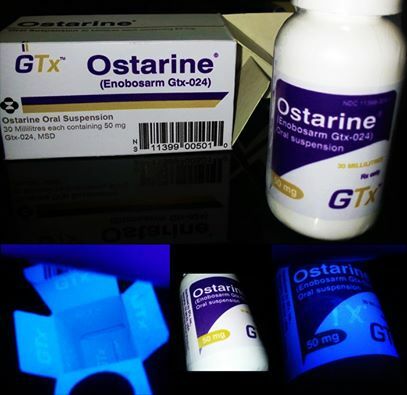 Ostarine, also known by its trade name Enobosarm, Ostabolic, or its original research chemical name MK2866, is not an anabolic steroid, and instead belongs to the newest form of experimental performance enhancing drugs known as SARMs (Selective Androgen Receptor Modulators). SARMs are a relatively new aspect of medicine as well as performance and physique enhancement. Like all other SARMs, it is currently an investigational new drug and is not yet manufactured and administered as an actual medicine. It is currently involved in clinical trials. Merck & Company originally developed Ostarine, until it was taken over by GTX, Inc. Its intended use in medicine is for the treatment of muscle wasting conditions and osteoporosis, which is where the majority of the research and clinical trials focus on. It is also being investigated for its potential to prevent/treat other conditions, such as cachexia, sarcopenia, and hormone or Testosterone replacement therapy (TRT). Like others in the SARM family, Ostarine binds with and activates the androgen receptors in the human body selectively, in such a way as to promote effects such as muscle gain, anti-catabolism, and strength-gains. 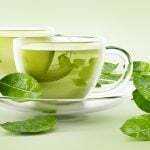 It does this whilst avoiding androgen receptors in other areas of the body, such as the prostate, scalp, skin, etc. that tend to exhibit negative side effects. This has brought much attraction by the athletic and bodybuilding community to Ostarine, so much so that in fact the World Anti-Doping Agency in January of 2008 had developed blood tests to detect it. Ostarine is purportedly the most anabolic of all of the SARMs currently available. Chemically, like all other SARMs, Ostarine does not possess any semblance to the traditional structure of anabolic steroids. The chemical structure of Ostarine has not been completely publicly disclosed by GTX, Inc. Although the company has not actually disclosed Ostarine’s chemical structure, the chemical composition can be found in databases of patents (in WIPO, for example), and has also been discussed in literature of various primary study sources. It is important to note that Ostarine is actually frequently mistakenly linked to the chemical structure of Andarine (also known as S-4). Specifically, Ostarine is known as an aryl propionamide. It differs from Andarine via the replacement of the nitro and acetamido moieties on the phenyl rings, and they are replaced with cyano substitutions. Studies have demonstrated that Ostarine, if utilized in higher than recommended dosages, can suppress endogenous natural Testosterone production in the male human body. The same side effect can occur if Ostarine is utilized for longer than a period of 5 weeks. Therefore, it is indeed suppressive to the HPTA (Hypothalamic Pituitary Testicular Axis), and some sort of a post-cycle therapy (PCT) protocol is warranted. Because Ostarine is not an anabolic steroid by nature, it carries none of the classical side effects of anabolic steroids, other than what has already been mentioned in this section. Ostarine does not exhibit any known estrogenic, androgenic, hepatotoxic, or cardiovascular side effects. It must be noted that because Ostarine, like all other SARMs, is very new and young in their development as a medicine and a PED (performance enhancing drug), it is possible that future studies or usage by individuals may lead to the discovery of as-of-currently-unknown side effects. Although the use of SARMs during PCT and as a bridging compound as a philosophy of use has become common (and logical reason to do so), Ostarine is an exception to this. It is not recommended to do so with Ostarine because of its negative side effect of suppression of the HPTA, and thus suppression of endogenous natural Testosterone production. This has been mentioned earlier, and studies have demonstrably shown reductions in blood plasma levels of Testosterone following the conclusion of Ostarine use. 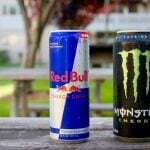 However, if this is a course you want to persue, then do not exceeed 25mg per day. Dosages above this threshold lead to more significant testosterone inhibition. This is why Ostarine use in and of itself must require a PCT protocol, and many recommend the use of a PCT even following short Ostarine cycles just for the added measure of safety in this regard. 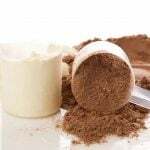 Similarly, bridging with Ostarine in between cycles of anabolic steroids is also not recommended even though this has become a practice among some bodybuilders. Initially, many within the athletic and bodybuilding community thought it to be a good idea when Ostarine first arrived on the PED scene, but studies and individual experiences have dictated that it is generally not a very good idea. It may be possible to bridge with Ostarine at low dosages, but the fact that there are other SARMs better suited for this purpose that do not negatively impact the HPTA has essentially very quickly rendered Ostarine obsolete for this purpose. It is impossible to find pharmaceutical Ostarine products, due to the fact that it is not even an FDA-approved and fully developed drug or medication as of yet. 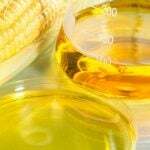 It currently stands as a highly available research chemical that is sold very widely across the internet and all over the world. Its existence is currently solely in the form of a liquid research chemical product for use in research laboratories, that is not intended for human use. The downside to this is that because of a lack of regulation where research products are concerned, there are companies that will manufacture under-dosed or fake Ostarine, though this isn’t known to be a common concern or occurrence. It is legally available for purchase, possession, and use in the United States, Canada, and the United Kingdom, as well as in most countries and regions in the rest of the world. 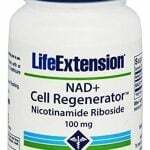 It is currently classified under IND (Investigational New Drug) status by the FDA. Any drugs or compounds under IND status must contain the label “Caution: New Drug – Limited by Federal (or United States) law to investigational use.”. 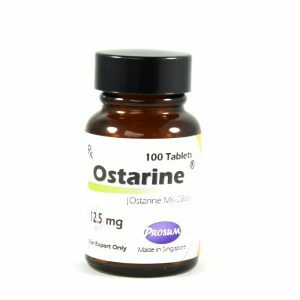 Ostarine is widely available online and sold as a research chemical by various research chemical manufacturing companies across the world. It is commonly sold in the format of a 30ml bottle dosed at 25mg/ml. Price varies a great deal and usually sell within the range of $80 – $140 per bottle, depending on the company selling it and what country it is based in.